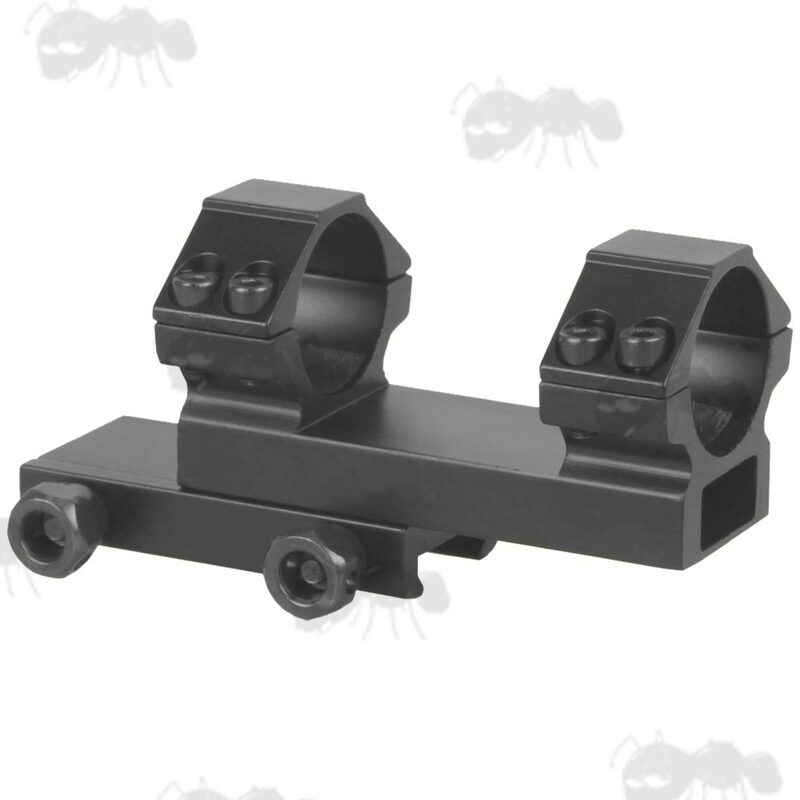 Also available ~ Dovetail rail forward reach cantilever scope mounts. Double clamp mount with see-thru channel. For scopes up to 56mm diameter objective lens. 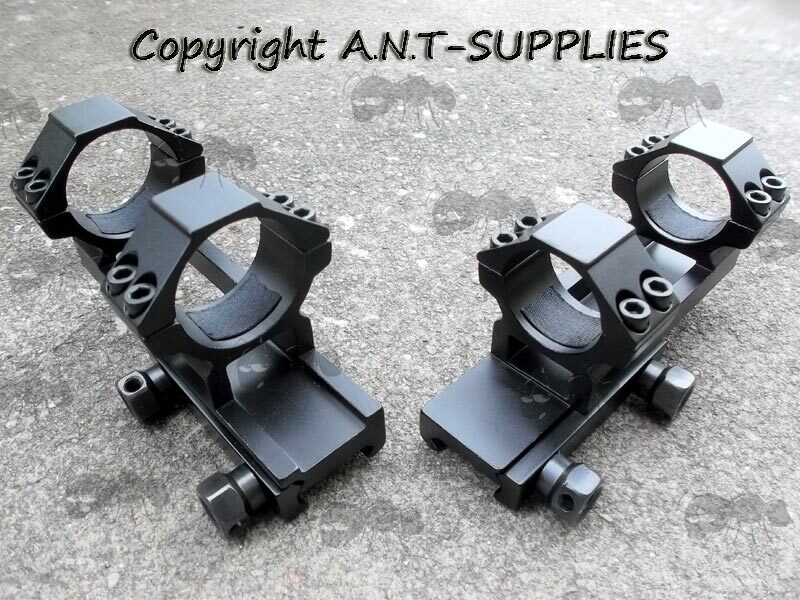 Large twin hex head mounting bolts for secure clamping. 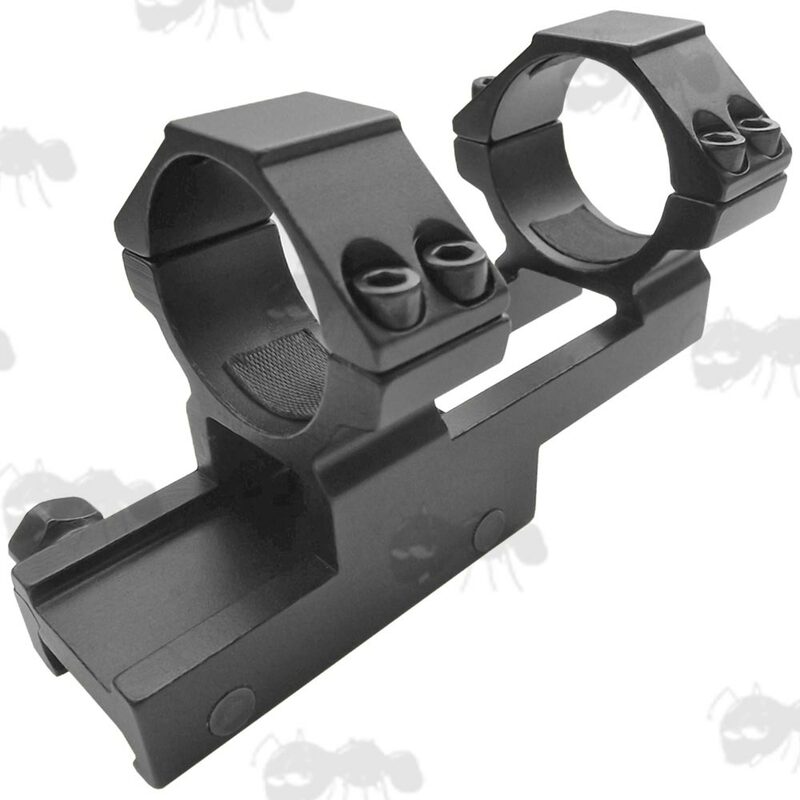 The cantilever design throws the scope out front, allowing you to get the correct eye relief.